Nursing apprenticeships will be lost in a ‘maze of bureaucracy’ unless the scheme is overhauled, say MPs. 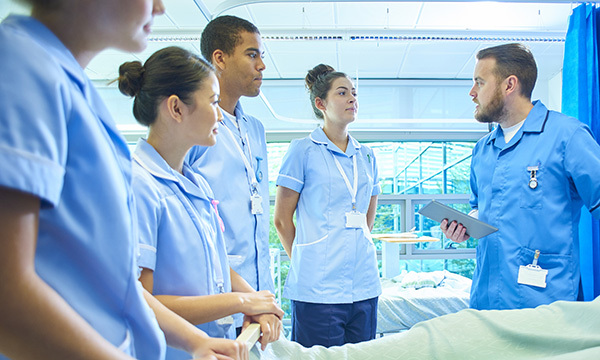 A report by a cross-party Commons group recommends the nursing regulator consider alternative approaches to the supernumerary status that means apprentices cannot be included in workforce numbers. The MPs also want greater flexibility in offsetting costs to the NHS, as part of a series of recommendations to address reasons the apprenticeships programme has had a slow start. The programme has stalled since being championed by the government in 2016 as an alternative route into nursing. Last year, only 30 people began courses. The Commons education committee examined why the scheme has not taken off and makes nine recommendations in a report published today. These include allowing NHS employers to use the government-funded apprenticeship levy to fully offset the cost of staff covering the apprentice's protected learning time. The report also recommends doubling the time employers have to spend the levy to 48 months. The government prioritise continuing professional development for nurses and publish a strategy and timeline for doing do. Create more postgraduate apprenticeships for nurses to enable them to develop their careers and specialities. NHS employers use apprenticeship levy to train nurses in the supervision of apprentices and provide protected time for this training. Dr Corrin said: 'The RCN welcomes apprenticeships if they are implemented safely, but they are far from the magic bullet the government promised. 'Nursing degree apprenticeships are tangled in regulation that offers cash-strapped employers little incentive to recruit apprentices. We support the recommendations in the report that seek to address these issues. NHS Employers chief executive Danny Mortimer said he looked forward to working with the government on reforming the apprenticeship levy. The Department of Health and Social Care was contacted for comment.